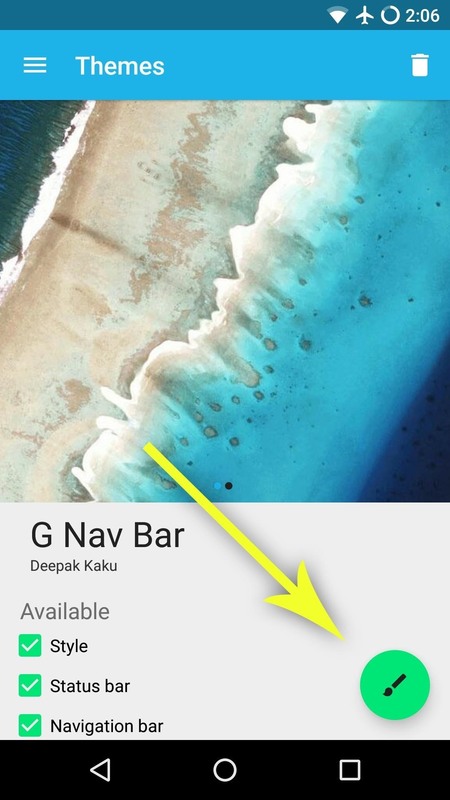 The new Google phones, which are rumored to ditch the Nexus moniker for Pixel, will most likely come with an Android feature that 7.0 Nougat doesn't currently have—a new set of navigation keys. The new phones are due out this fall, and unlike Google's previous Nexus devices, it looks like they'll be running a custom version of Android with exclusive features—including these spiffy new buttons. While the rumored buttons are similar to the existing setup, only filled in with white, the major addition will be a set of four Google-colored dots that encircle the home button that will presumably animate outward when triggering the Now on Tap feature. It won't be long before we see the official layout in action, but thanks to some quick work by a pair of theme developers, we can already enjoy the new navbar right now. One theme will work on any rooted device running stock Android 6.0 or higher, and the other works on CyanogenMod 12 or 13. Aside from that, setup is really simple, so I'll show you how to do it below. You'll need to have either Layers Manager installed (which requires root access) or CyanogenMod 12 or 13 installed on your Android device. 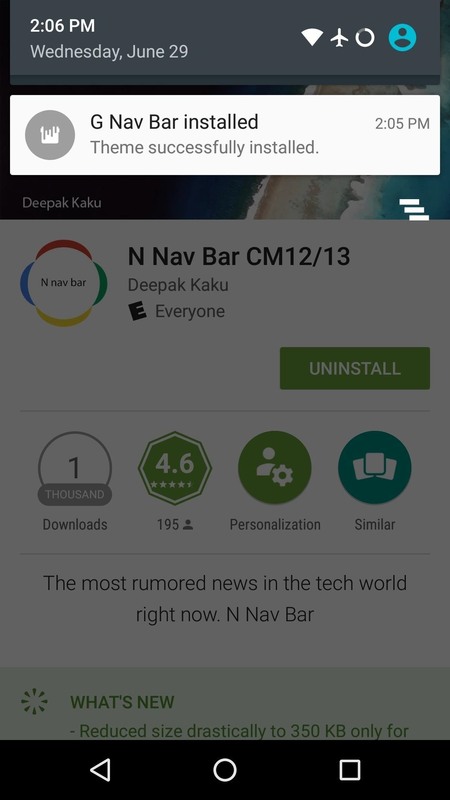 If you have Layers installed on your device, the easiest way to get the new navigation keys is to install a theme called N Navbar - Layers/RRO. 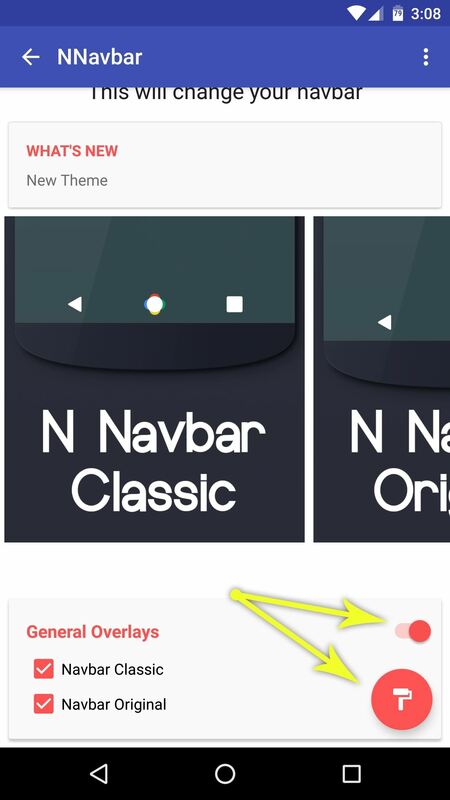 Once you've done that, simply open your Layers Manager app, then select the "NNavbar" entry. 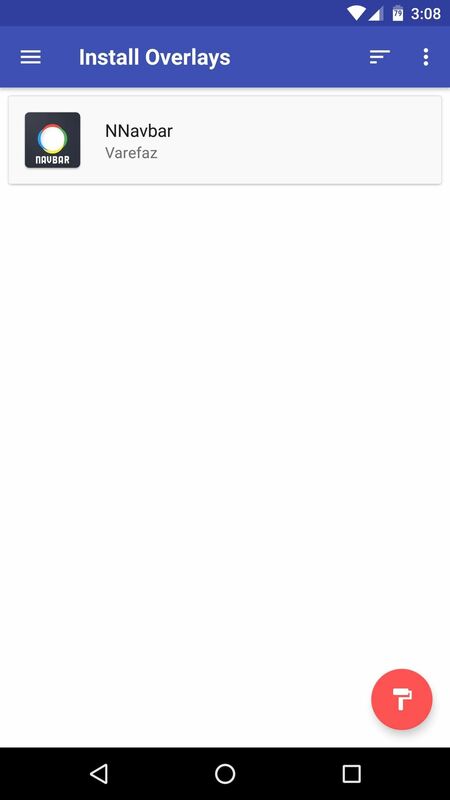 From here, scroll down to the bottom of the page, then toggle the switch next to "General Overlays," and tap the floating action button in the bottom-right corner. From here, press "OK" when prompted, then reboot your phone. When you get back up, your on-screen navigation keys will be themed to match the rumored Pixel style. The Now on Tap animation isn't possible here, but everything else looks exactly the same as the leaks. 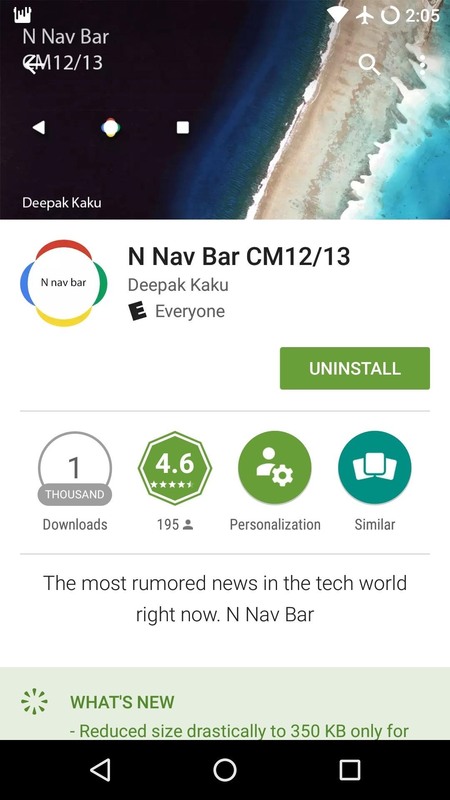 For people with CyanogenMod 12 or 13 installed, the best way to try the Android Nougat navigation keys is to install a Theme Engine theme called N Nav Bar CM12/13. 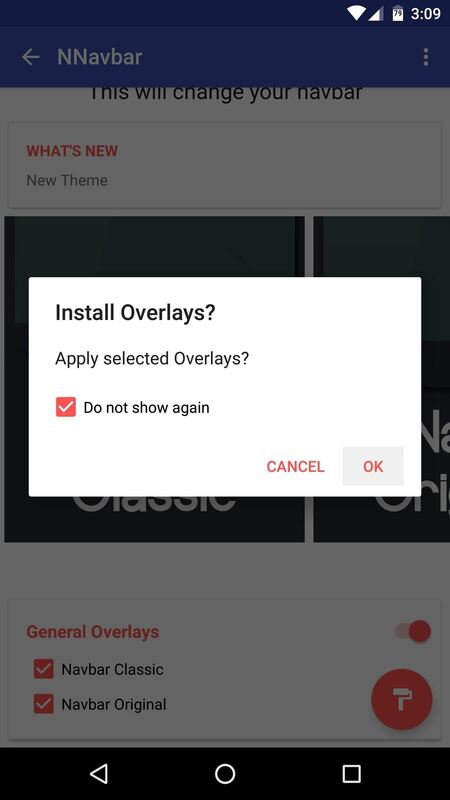 Immediately after installing the theme, you'll see a notification. Simply tap this notification, then on the following screen, tap the floating action button in the bottom-right corner. With this method, no reboot is needed, so sit back and wait a few seconds, and your navigation buttons will be themed. Once the theme is applied, you'll be all set to go. Just like with the Layers theme, the animation isn't present, but it's a perfect match for the rumored Pixel navigation keys from a visual standpoint.